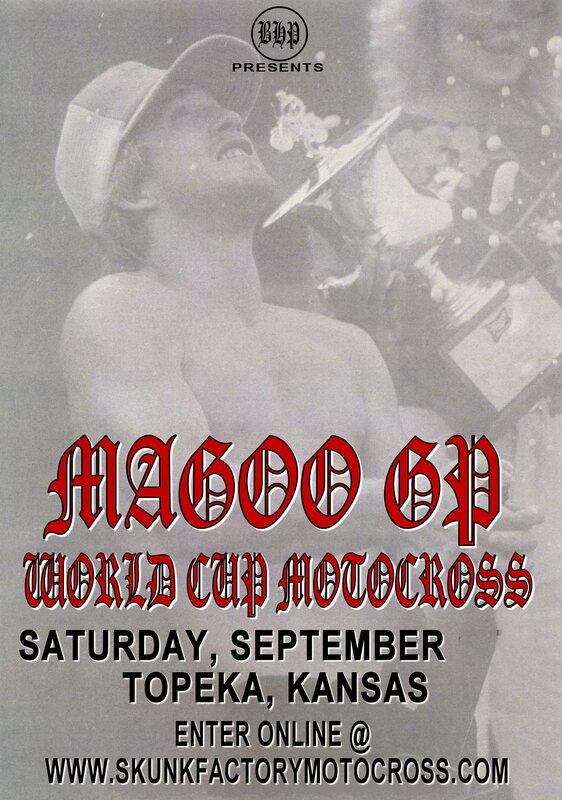 Barry Hill Project invites all to come celebrate America’s greatest motocross hero at the Danny Magoo GP World Cup MX Championship in Topeka, KS on Saturday, September TBA at the Skunk Factory Motocross Training Center. Chandler and Hill have worked on this event for the past year and it is the last race course laid out by Magoo in existence today. 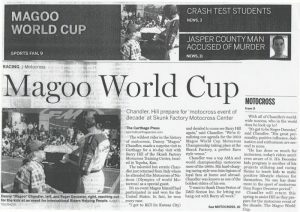 Their close 35-year friendship came to an abrupt end, but Hill vows to continue on with the “Magoo GP”. 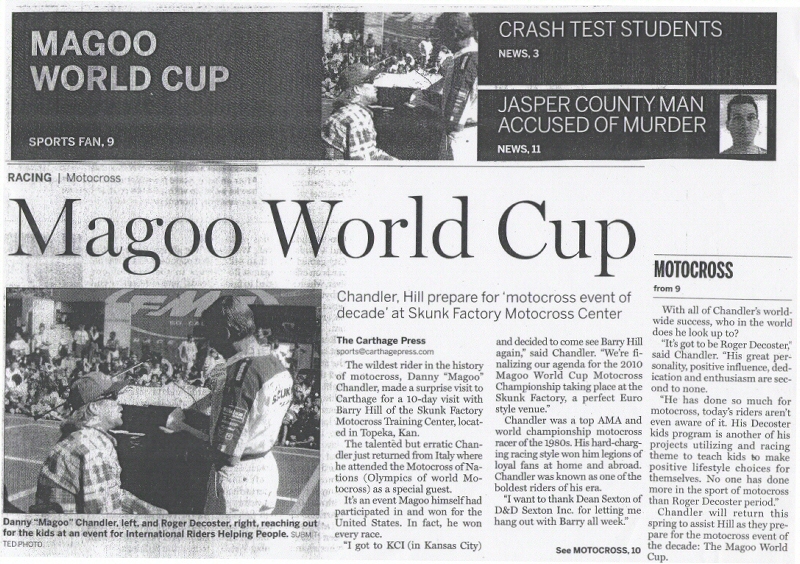 Each division rides one 45 minute moto on a 100% natural terrain grass track, with a four minute lap time. The final division will be a special pre-vintage and Euro vs. USA division. 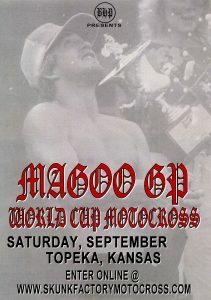 Sponsor, vendor, and general info call Barry Hill @ 417-359-9991 or skunkfactorymotocross@live.com.